This looks like the tail section of a trilobite called a pygidium. 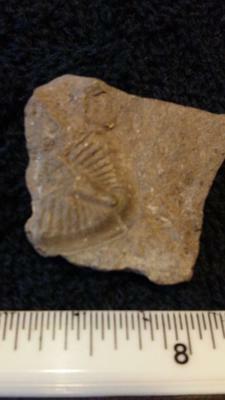 Had to be sure because it is just a fragment but google trilobite images and compare your specimen with the photos. There are lots of species of trilobite. Some look very much like yours.